India’s car market leader Maruti Suzuki crossed the around 10 million domestic car sales. The Maruti Suzuki India is only one of the automobile company who has reached this limit. Since 1983 the company had rolled out its first and 2006 the company achieved 5 million and in 2012 the company is crossed again 5 million sales. In domestic market Maruti Suzuki’s two models are very popular and they are achieved most soled car reward and that are Maruti 800 and Maruti Alto. The Maruti 800 is known as flagship car of Maruti Suzuki. Since 1983 it has revolutionized Indian small car market. It is India’s most economic small car before launches of Maruti Alto. The Maruti 800 is very popular in India middle class families and it also known as “My family car”. The company has launched this small car in LPG and petrol types of fuel. The small car Maruti 800 is powered by a 796cc, 4-stroke and water cooled SOHC engine. According the engine specification the car is delivering output power of 37Bhp at 5000rpm and torque of 59Nm at 2500rpm. The Maruti Alto is second most selling car in India. The Maruti 800 is best model from Maruti Suzuki and it is the ideal car for first time average buyers. The small wonder call is equipped with 796cc, 3-cylinder and 4 valves per cylinder, FC engine with 32 Bit ECM. The car engine generates maximum power of 47Ps at 6200rpm and 62Nm torque at 3000rpm. The Maruti 800 claimed an exuberant 19.73kmpl mileage and it is ranking the best-in-class mileage car. For saving ecosystem the Maruti Suzuki has added three more CNG variants in the Maruti Alto model. 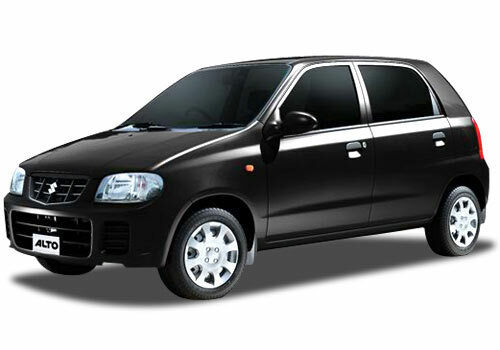 All-over the Maruti 800 and Maruti Alto these best models are evergreen models from Maruti Suzuki automobiles.